The Washington Redskins ended their search for a new defensive backs coach Thursday when they hired veteran defensive coach Ray Horton. Horton brings 23 years of coaching experience including three seasons in Washington back in the mid-’90s after his playing career ended. Horton will take over the vacant defensive backs coaching position left open when Torrian Grey left the franchise and returned to the University of Florida earlier this month. It’s unknown at this point if Grey was fired or how the two split ways. Horton, who hails from Tacoma, Wa., played his college football at Washington before a 10-year NFL career as a defensive back with the Cincinnati Bengals and the Dallas Cowboys. Horton played in 147 games, totaling 19 career interceptions – four of which were returned for touchdowns. 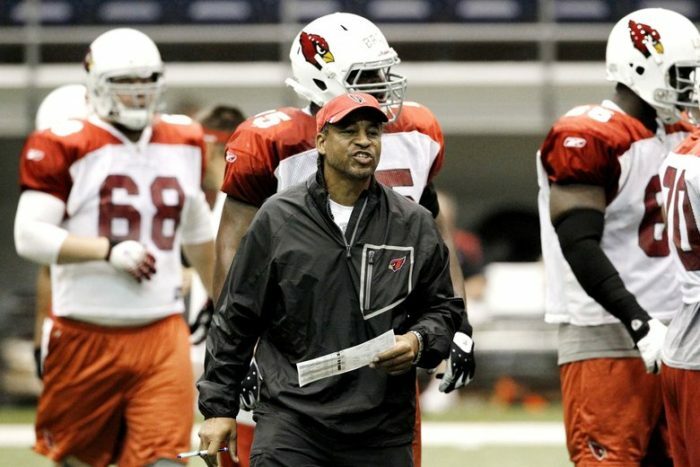 Horton was the defensive coordinator of the Cardinals for two seasons before assuming the same position with the Cleveland Browns in 2013. He was then the defensive coordinator for the Tennessee Titans in 2014-15 before returning to Cleveland as defensive coordinator in 2016. In four of Horton’s six years as a defensive coordinator, his units finished among the top 15 in passing defense, including three times in the top 10 (2012, 2013, 2015).